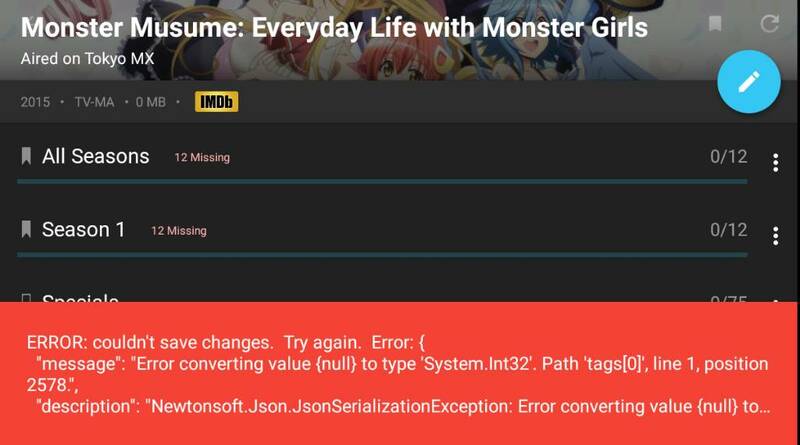 I use tags on anime to filter search results but am met with an error every time I add one on the shows editor. I have to navigate to Sonarr Web ui to do it instead. I've included a screenshot of the error. Hmm, which version of Sonarr? Started using TAGS myself and having the ability to add in the app would be very useful. Also would like the ability to add/edit RESTRICTIONS, if possible please. I have actually been able to add tags to some of my shows via the app, but for some, I still get the error as in the OP.